The BDA held an event in conjunction with the Association of Independent Professionals and the Self-Employed for deaf people who own businesses or who are freelancers. 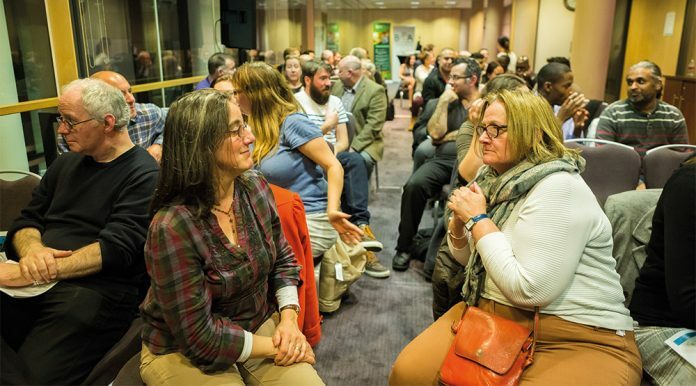 Last November, as part of its 125 anniversary celebrations the British Deaf Association teamed up with the Association of Independent Professionals and the Self-Employed (IPSE) to host an evening celebrating the work of Deaf business owners, freelancers and the self-employed. The BDA wanted to recognise the contributions these people have made to the economy and creating opportunities for other deaf people through employment and showing the world what we are capable of. IPSE is the largest association of independent professionals in the EU and represents thousands of freelancers, contractors, independent professionals and consultants from every sector of the economy, in both government and industry. The evening opened with three talks. Louise Williamson from Meades Contractors spoke about how to manage your tax. Esther Stanhope, a former BBC producer who now works as an impact coach talked about how to make a positive impact and pitch with personality – a good business idea alone is not enough, it has to be sold in a way that attracts people. Stanhope’s tips were surprisingly simple – stand up straight, look at people in the eye and smile, for example – but effective. She talked about meeting deaf people while working at the BBC and noticing that using sign language gave deaf people an advantage in the body language element of good communication. 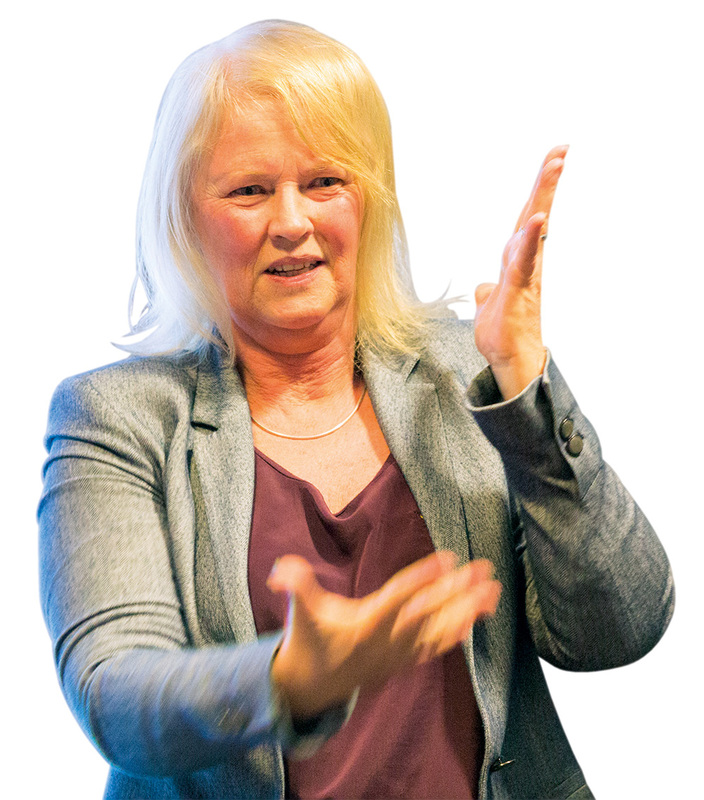 Then Linda Day, company director of Signworld – an online sign language learning tool – talked about unique selling points, or USPs, which set your business apart from others. She has turned deafness on its head and made it one of her key USPs and insists that other deaf businesspeople can do the same, urging them to “remove the word ‘can’t’ from your vocabulary”. You can read her speech below. Transcript of speech made by Linda Day, Vice Chair of the BDA’s Board of Trustees and Company Director of Signworld. This speech was delivered in BSL. As Deaf people, we’re used to people telling us we can’t do things and that our Deafness will hold us back in life. All our lives we’ve had to negotiate for access and overcome problems. So it might seem strange at first when I say you should be using your Deafness as a positive to help you and your business stand out. As the famous quote goes: “Deaf people can do anything hearing people can, except hear.” With that in mind, I want you to remove the word ‘can’t from your vocabulary and turn it into ‘can’. Your Deafness makes you stand out as a business person with a truly unique offering – it’s your USP. So, first of all, what is a USP and what does it mean for your business? A company’s unique selling point, its USP, makes it clear to the customer that there is a specific benefit to them for having that product. For example, the Lynx deodorant adverts do this in a very blatant way: spray yourself with Lynx and attract lots of women! The question you have to ask yourselves is this: What makes you different from other businesses? Do you know what it is? Can you explain it to your customers, to your friends and family? This is important because your USP should be guiding nearly everything you do in business. In order to be remembered in a crowded marketplace, it helps if your business has a trait worth remembering. If you can explain your USP in two or three sentences, or even in a few words, then great! If you can’t, work on it until you can. We often think our business USP should be about the company, “regardless of who you are”. But what if your USP is you? Being Deaf can bring a different USP in business; Deaf people will always stand out from the crowd when surrounded by non-Deaf people. We use BSL, resulting in a flurry of physical activity rarely seen from those who don’t use it. Those who aren’t used to Deaf people will automatically remember us – often their immediate discomfort of being presented with a Deaf person signing will change to one of pleasant surprise, sometimes awe – how often have we seen hearing people say “I wish I could sign”? Now that you have their attention use that to your advantage. Deaf people are good at problem solving as we face barriers in all our lives yet we never allow it to beat us. The same is true for Deaf people in business. You’ll be surprised how good at negotiation you are. Think of all the negotiating you have done because of your Deafness; think of your ‘conversations’ with Access to Work! Never forget the element of surprise – Deaf people are often accompanied by one or more interpreters. It makes us stand out – it even looks, in some cases, as if we are some kind of VIP with our own special entourage. While most of us aren’t comfortable with how that looks, it makes hearing people curious and intrigued. Once you’ve got their attention, use that to your advantage. Grab their attention, talk to them, sell yourself and make them remember you. In business, our Deafness is a key part of our USP because it makes us different and memorable enough to stand out from the crowd. As Deaf people, we have many strengths that set us apart from hearing business people and these help other people see exactly what we can offer. Remember, Deaf people can do anything hearing people can, except hear. Your Deafness makes you unique. It’s your USP. Use it to your advantage. The BDN meets some of the business people who attended the BDA/IPSE event and comes away feeling inspired. 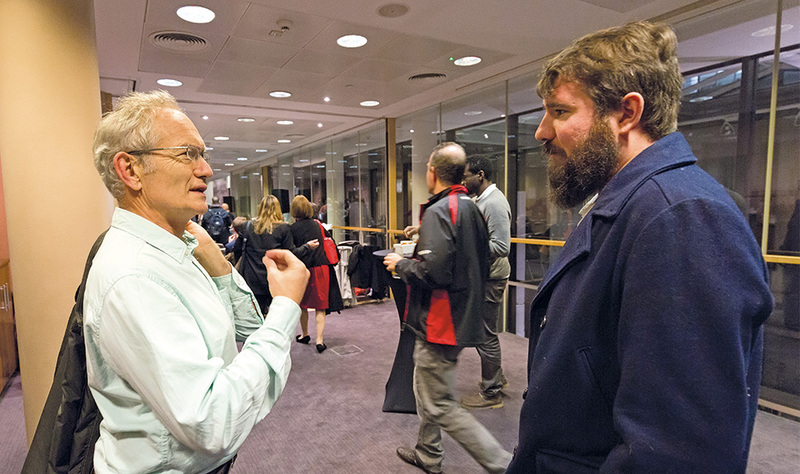 As business-owners and freelancers mingled and exchanged business cards over wine and canapés after the talks, the BDN grabbed the opportunity to meet some of them, find out what they do and whether they found the talks useful. Someone who didn’t find the talk on tax useful because he already knew it all was Kevin Whalley, an accountant who had been working for a West End chartered accountant firm for nearly 20 years when he was made redundant. Unable to find another job, he set up his own business and built up a client base through word of mouth. Karen Belcher had been working as a BSL teacher for several years when she decided to make the leap and go freelance five years ago. 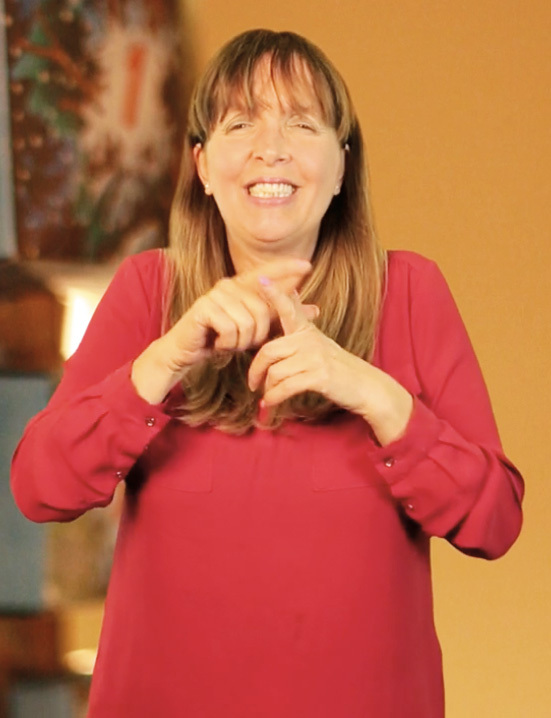 She set up her business BSL Training two years ago delivering courses in family communication as well as BSL and Deaf awareness. The family communication courses are aimed at families with deaf members, especially children and are tailor-made to suit the family’s needs – focusing on vocabulary used in their homes. She felt she could bring her expertise to more people if she was freelance so she set up Deaf Independent. In addition to being a nationwide children and family social work service working with deaf and deafblind people, Deaf Independent also offers translation of court reports and other parenting resources into BSL or plain English. One of the more unusual businesses represented was stone craftsmanship – Louis Francis is a classically trained stone and letter carver with a specialism in architectural and monumental stone carving. After studying at City & Guilds of London Art School, he started doing small stone gifts for friends and family. There was a lot of interest with people wanting to commission stone gifts so he set up his business Francis Stone Design in July 2014. His main business comes from carving memorial headstones. Whalley says working for himself has been “more challenging and more rewarding”. Working to one’s own schedule and having flexibility is a draw for Belcher and Francis – but “within reason!” Belcher says. Anderson says working for herself has allowed her to “be creative in [her] responses”: “Knowing that Deaf people are finally able to get independent deaf specialist social workers with expertise in children and families front-line social work” has been rewarding for her. All mention communication, interpreters and Access to Work as challenges for deaf businesspeople. Whalley says communication with his clients is his biggest challenge and for this he uses interpreters paid for by AtW. ever initiative to celebrate and support deaf entrepreneurs is very welcomed”. Francis said the tax workshop “opened [his] eyes to the world of online accounting”. Belcher said she would have liked a whole session on tax itself and hopes to see something like this in future. Whalley thinks a deaf business owners’ network would help people to “share problems and get business from each other”.